[caption id="attachment_97" align="alignleft" width="300" caption="Micro RC Helicopter"] [/caption] While it’s good fun to play with micro remote control helicopters, it’s even more fun to learn some DIY tricks to modify your remote control toy. Below is a look at some great remote control tricks to enable you to trick out your micro remote control helicopter for better performance. One thing you can do to trick out your micro remote control helicopter is to enhance its flight performance by simply replacing its Styrofoam airframe with cable ties. Because of the resulting reduction in weight, the helicopter will be able to fly higher and faster. While you may prefer the look of the original fuselage, the resulting minimal look is also pretty cool. You will need a sharp hobby knife to take of the old Styrofoam fuselage, as well as a steady hand to avoid damaging the internal parts of your helicopter. The next trick is to use spray paint to color your remote control helicopter. 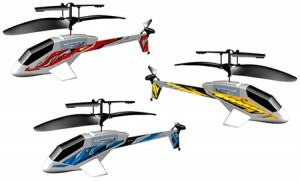 Most micro remote control helicopters are constructed from foam with white as the base color. If you want to give your remote control helicopter a unique look, you may use some foam safe spray paint, as well as some clear plastic to add a canopy. Another great idea is to build your very own fuselage from foam dinner plates that you may have lying around. All you need to do is take out the original fuselage using a sharp hobby knife. You can thereafter build a new fuselage using the foam plates as the source material, along with some foam safe CA glue. You will find that these micro remote control tricks are pretty easy to do when modifying your toy. What’s more, your end product will be a really cool micro remote control helicopter that you will enjoy showing off to other remote control enthusiasts. Albert Germanotta loves playing with RC toys, having grown up with them. His favorite ones are the micro RC helicopters - of which he has over 10 different models, and he enjoys meeting other people who share his passion for RC.